In the years since high school, my hair has been fried, dyed, lyed and laid to the side in so many ways that I can't even count them all. I have worn braids, a Halle Berry-like short cut, a two-tone bob, cornrows, wigs and latch-hook weaves. However, it was a two-chemical fiasco that led to me going natural just shy of two years ago. When I found myself beginning to lose my hair due to a bad mix of relaxer and color, I told the stylist, who was trying to repair the mess that another so-called professional had created, to cut it off. Many were shocked that I made such a radical change, but hanging on to a head full of damaged hair didn't make a whole lot of sense. I have to admit that there have been times when I have struggled with the process of rediscovering the hair that I hadn't seen since I was a child. You must remember that my mom was the last one to style my natural hair and years of chemical usage have changed its texture. My mother has sported a teeny weeny afro for several years, but the whole "happy to be nappy" vibe is new for me. Since she keeps her hair cut close and I decided to let my hair grow, we are on different natural hair journeys. I am thankful for the multitude of natural hair stylists, skilled bloggers and meetup groups that share information and evoke the spirit of sitting in the living room or on the front stoop and learning about Black beauty from Black beauties. A few months ago, I was faced with choice between wearing my natural hair or a straight wig for a job interview. The style of my hair had nothing to do with my ability to do the work or my character as a person, so I rocked it naturally and got the job, in an environment that is relatively conservative. When sharing that story with another coily-haired sister, she said that it was a shame that I even had to consider camouflaging my natural beauty in order to obtain a job, which is something that women of other races never have to think about. They may wonder what to wear, but they never have to consider changing their hair just to fit in, unless of course it is bright pink (and even then it depends on the workplace). In a culture that does not generally celebrate Afrocentric beauty, it is our harsh reality, even though old mindsets are slowly beginning to change. Quite honestly, I have gotten more more side-eyes from women who look like I do than I have from men and women who don't. Let me make it clear that I don't have any issues with women who choose to wear relaxers or weaves or any other hairdo that is different from my own. (How could I, when I have worn so many styles in my own lifetime?) I am saddened by the attitudes of Black women (and men) who make sweeping judgments of their sisters based upon things that have nothing to do with the "souls that live within." Each and every one of us has the freedom of choice and external things, like hair and skin color, have absolutely nothing to do with who we are on the inside.When I look at other women of African descent, all I see is beauty, plain and simple. I hope that by sharing my hair story, you will be encouraged to embrace your own story and celebrate the stories of every sister that you encounter. Never forget: We are NOT our hair! Please feel free to share any anecdotes from your hair story. I would love to hear from you! My story of transitioning started with my aunt who found out she had breast cancer six years ago. I have been natural for five years and grew my hair out until this March. I felt the need to let the hair go and the pressure from other naturals who only talked about growth. Cutting my shoulder length natural hair was the best decision I ever made for myself, because I found a new love just for me! Thanks for sharing, Shekaria! Hair takes on a different meaning when you watch someone lose theirs. Even though it is our "crowning glory," there are much more important things in the world, like good health. Nice to find you here, doing the NaBloPoMo writing thing too. I never thought about hair like you have written of it. I love your stories. Mum never really did mine. It was straighter than straight and I dreamed of curls. Thanks, Di! It is challenging to think of writing something on a daily basis when you don't do it normally. I am a music lover, so I am using some of my favorite songs as prompts for the month to make it easier. Best wishes on your journey as well! So glad to have found a place to share my hair with others.I have been on my natural journey for about six years and it has not always been pleasant but I am learning to carry strength in facing my fears.I finally did the big chop in 2011.I choose to start fresh due to my bouts of eczema in my scalp. I am now starting my locs for a second time and its beginng to feel like spring, even when its cold outside.Peace. Thanks for sharing your journey, Krissy! I think that your hair choice ultimately boils down to finding something that fits your lifestyle and your budget. 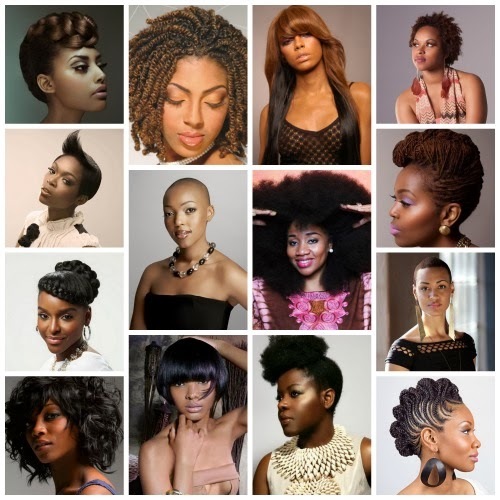 Then you can either care for your hair on your own and/or find a hair care professional to help you keep it healthy. Congrats on embracing your natural beauty!